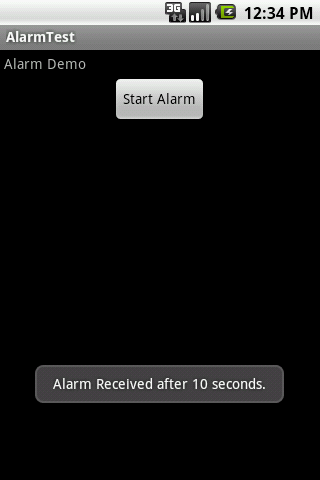 How to use Alarm Service in android? Today in this tutorial I will show you how to use AlarmService in android. For this you have to first create a project named AlarmDemo and copy this code into it. // We want the alarm to go off 10 seconds from now. // Tell the user about what we did. 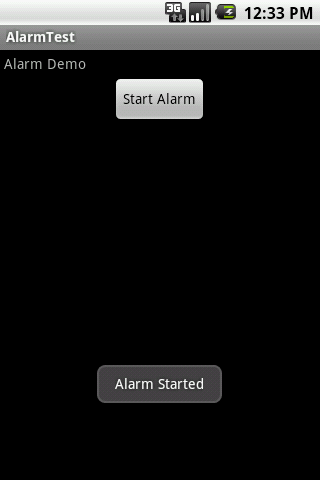 We use the AlarmManager class for creating an Alarm service. Here we are setting the time to 10 seconds so after 10 seconds a Toast pops up. For receiving the Broadcast we have to create a class the extends the BroadcastReceiver class on which the onReceive function gets called when the service ends. So create a class named “MyAlarmReceiver.java” and copy this code into it. This class will be called after 10 seconds. Now the important thing for receiving the Brodcast events you have to register with the AndroidManifest. Where can I embed this code? Also, what services it can give if I embed this code to my phone? There are alarm monitoring services that i’ve been looking for, one thing is this. @Allan:- You can modify this code to do whatever you want. YOu can embed this code in another application that needs an alarm service or something etc.